Suspension lamp with soft and classic lines. 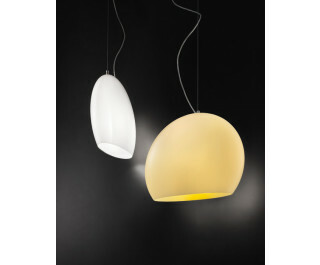 The narrow and flat shape of the diffuser is inspired by the phases of the moon and femininity. Glass color tone: glossy white and glossy white internal topaz.